When introducing the shoe box, Nichba Design achieved their goal to create space-saving and intelligent storage solutions for any environment. 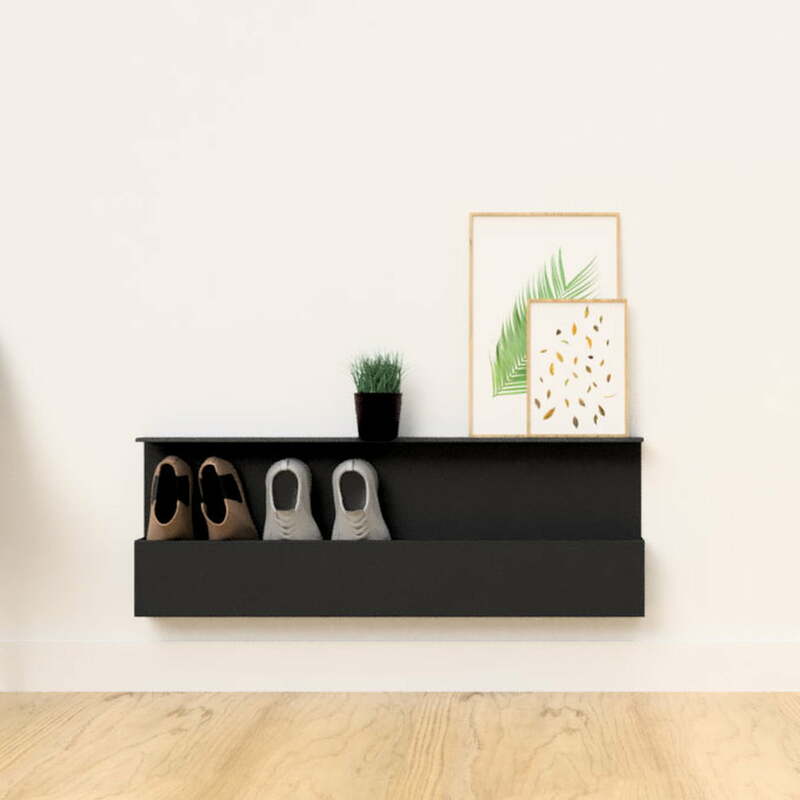 The innovative wall shelf made of powder-coated steel is characterised by its minimalist-Scandinavian design and a high degree of functionality. By removing the shoes from the floor, the space in the hallway or corridor is opened up and vacuuming becomes an easier task. Available in three different sizes, the shoe box can accommodate 2 (small), 4 (medium) or 6 (large) pair of shoes. 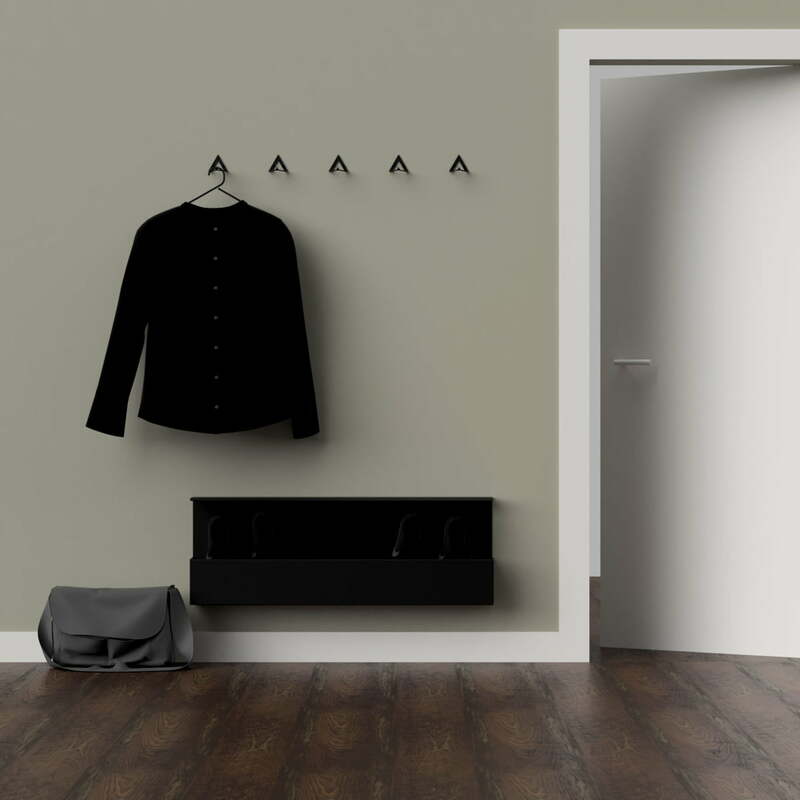 Moreover, the stylish shoe box is excellently combined with other hall stands and storage furniture by Nichba Design. Isolated product image of the Nichba Design - Shoe Box in medium Available in three different sizes, the shoe box can accommodate 2 (small), 4 (medium) or 6 (large) pair of shoes. 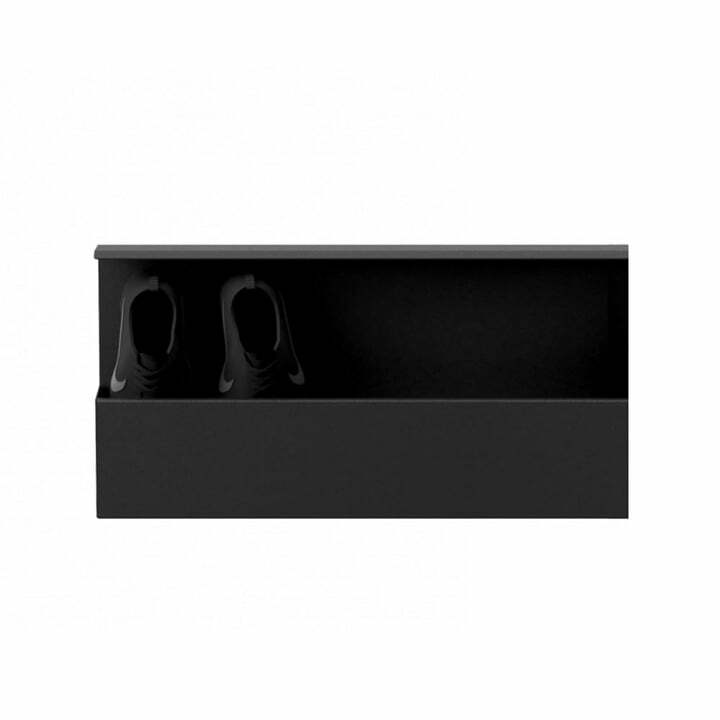 Lifestyle product image of the Nichba Design - Shoe Box. 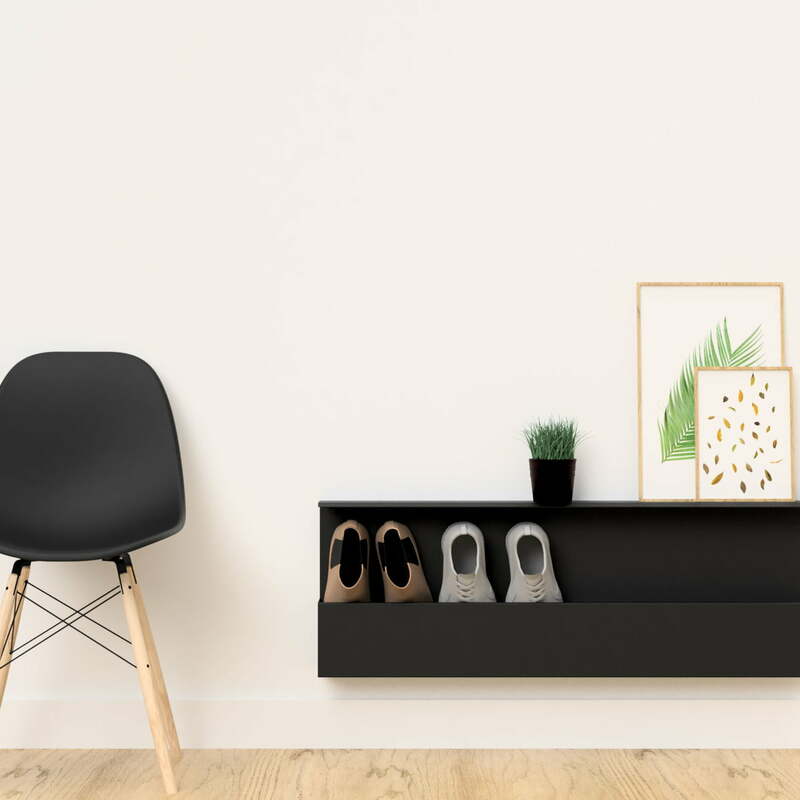 The innovative wall shelf made of powder-coated steel is characterised by its minimalist-Scandinavian design and a high degree of functionality. Lifestyle product image of the Nichba Design - Shoe Box. By removing the shoes from the floor, the space in the hallway or corridor is opened up and vacuuming becomes an easier task. Lifestyle product image of the Nichba Design - Shoe Box. 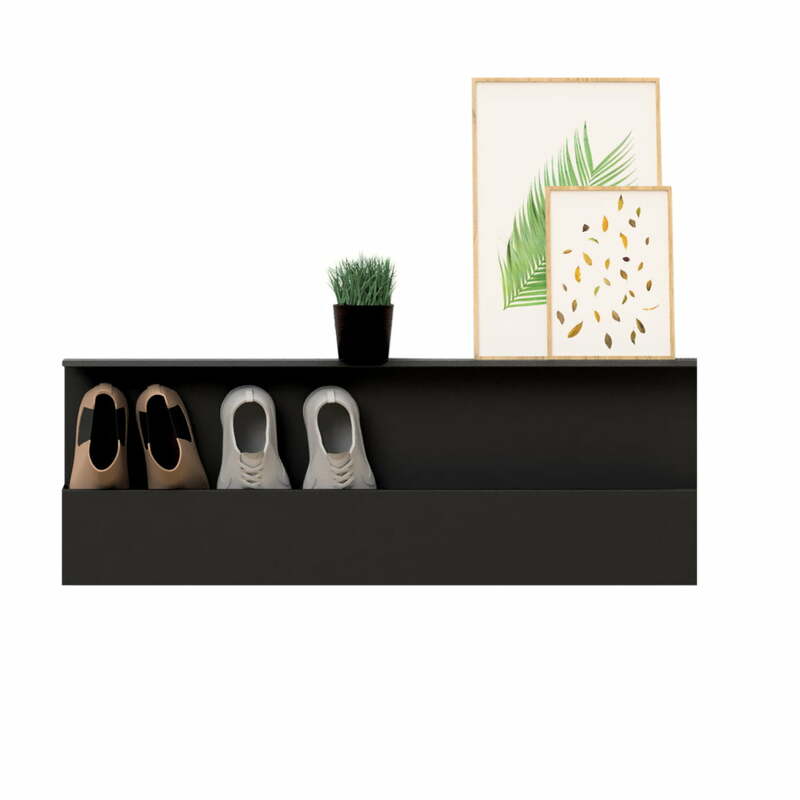 Moreover, the stylish shoe box is excellently combined with other hall stands and storage furniture by Nichba Design. Lifestyle product image of the Nichba Design - Shoe Box. 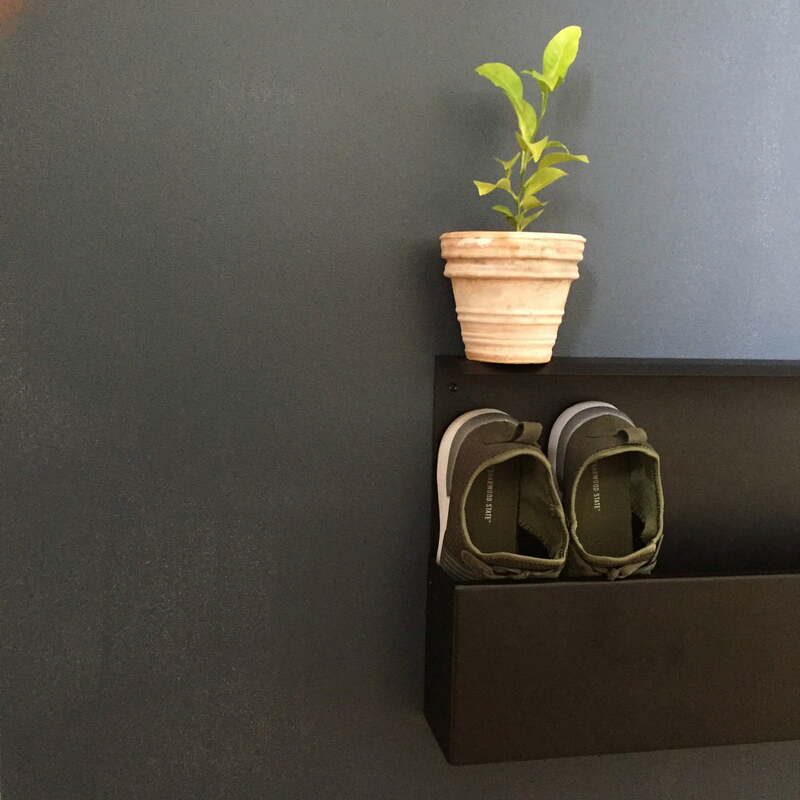 The shoe box by Nichba Design is a stylish and space-saving solution to store shoes on a daily basis.